This month AOW connects with Kirsten Dickerson, founder of Raven & Lily, an ethical fashion and lifestyle brand dedicated to empowering women through design. Kirsten speaks openly about the ever-changing retail industry. She shares what’s really worked for her company, how she's been able to adapt to changing times, and why she's shifted her focus over the last few years from a wholesale model to more direct consumer outreach. Could you tell us a little about yourself and Raven + Lily? I'm the founder and CEO of Raven + Lily. Raven + Lily is an ethical fashion and lifestyle brand dedicated to empowering women through design. We help create fair-trade jobs and fund micro-loans for women through every purchase. My background was in non-profit work as well as being a production designer for film. Those worlds collided when many of the non-profits I knew started to train women in design skills or were helping artisan women form co-ops – all efforts to empower women and break cycles of poverty. I launched Raven + Lily with a group of volunteer designer friends. It started as a non-profit in 2008 and moved into a for-profit, social business model in 2011. Today we help employ over 1500 at-risk women in 10 countries through our fair-trade artisan partnerships. I realize when Raven & Lily first started, you dabbled with the trunk show model. Then, you switched over to retail and wholesale. Now, you have a brick and mortar shop in Austin and focus on direct to retail sales. Could you walk us through that evolution? We definitely have gone through several changes and models over the years. I'm not afraid to take risks or to try different opportunities. When something feels right and really works well, we start to lean into that. It’s been an adventure for sure! I think the reason I've gone through so many changes is that retail is in a dynamic time of change. I'm trying to pay attention to retail trends while also analyzing what really works for the Raven + Lily artisan model. I've learned to be willing to make a change quickly if something isn't working. I grew up hanging out at my mom's boutique, so when I started Raven + Lily I always knew I wanted to ultimately have a physical retail concept. Today we are leaning into a pop-up model complemented with online sales. I still have a selection of Raven + Lily designs available to our wholesale clients, but our main focus is on higher margin sales channels. I really care about the story behind our products and I have more control in sharing that on our website and through a physical store experience. Because traditional brick and mortar store concepts are changing so much, I've found it best to test markets through pop-ups. We currently have two pop-up locations and will be expanding with three or four more this summer. These are anywhere from three-months to one-year stores. Some are stand-alone; some are a store within a store. All of them give a chance to showcase the brand without a heavy lease or long-term obligation. That works well for us right now. In the future, I'll likely open more permanent stores but for now, we are heavily focused on growing our e-commerce channel and testing markets through the pop-ups. Where do you find that perfect balance between juggling retail and wholesale especially because there is so much confusion about trade shows "dying" and brick and mortar on the downslope? We have one large wholesale client and have focused on nurturing our other wholesale partners that really want to order more deeply and share the story. I've had to decide to let go of smaller buyers and focus on accounts that feel more like brand partners. We offer a core selection of goods for wholesale buyers – designs that we know sell well and have strong scalability. For newer artisan partnerships in the Raven + Lily model, I launch designs in smaller quantities namely in the stores. When they’re ready we bring them online. And when a new group has grown and proven itself ready, we can offer those designs to wholesale clients. Having multiple sales channels gives me the chance to test products and also better support our artisan partners. This also keeps our direct customers interested in coming to our website regularly to see what's new or what's available only through Raven + Lily. For really large accounts we love to create exclusives so that we don't compete against each other. It’s interesting because we actually stopped going to trade shows. We now use an online portal for wholesale clients and that's been great. I do see value in some specific trade shows, but the costs haven't been worth it for us because wholesale hasn't been our focus. I constantly hear concern about trade shows from other brands, so I'm curious to see what happens in the years to come. And yes, traditional brick and mortar is also changing. People want a more curated experience, so it really matters where you have your store and how you merchandise it. Events in a store are also really important. Traditional malls and mass-produced store concepts are out of style (unless you are addicted to fast fashion, then those types of stores are still thriving, unfortunately). For me, the physical store helps you gain trust for future online sales and new customers who can experience the goods and stories firsthand. I'm constantly experimenting and thinking through how to make the store experience great for Raven + Lily. That's been part of the charm with our pop-ups – each one is really different! What do you think has led to the success and longevity of Raven & Lily? I think my husband is the biggest factor. He believes in me. He believes in the mission. He supports me at every step. I couldn't do it without having him cheering me on. 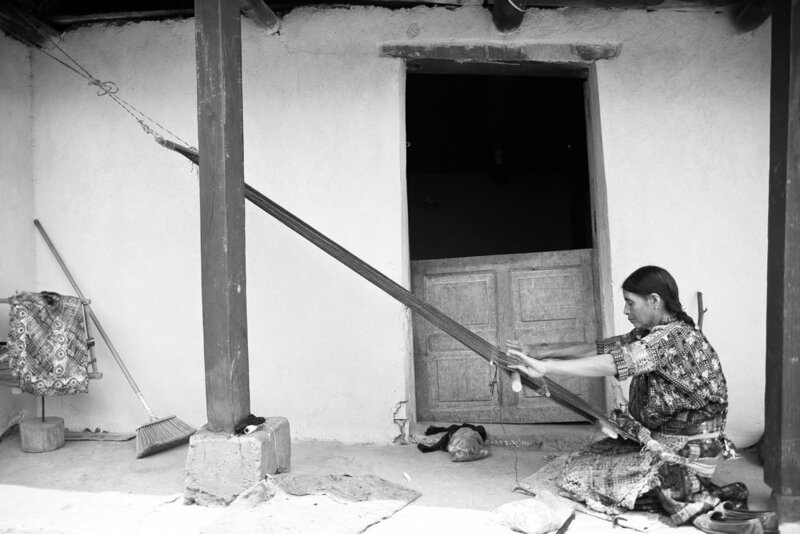 Our success also comes from having truly empowered the artisans we work with. It motivates me and the whole team to see the impact our partnerships have over time. We've also seen how our model is positively impacting others, around the country and across the world, to think differently about their consumer power. All these things inspire me and my team to not give up and to push to take the company to the next level of growth and impact. What are some of the biggest challenges you have overcome? Scaling and fundraising has been my biggest challenge. It’s not easy raising money as a female founder with a social business concept that employs at-risk women in 10 countries. You can imagine how many times I've been turned down by investors. It’s literally over 100 times. Where do you think those that are new to the field are missing the mark when it comes to creating a sustainable business model working with artisans? You have to really think about good design. You have to be unique and know who your customer is. Be your own unique brand that highlights the incredible talents of artisans. Find something that can compete mainstream but that showcases artisan craft in a relevant way. I also think some brands are not willing to do the hard work of accountability. We mean what we say. We are a B Corp as well as a member of FTF and Artisan Alliance. We help our artisans go through certification with WFTO. We do yearly impact reports on all our partnerships. The temptation today is to say something is artisan-made because it’s trending. Sometimes artisans are treated poorly and paid the lowest wages out there. It’s incredibly important to support artisans and follow fair-trade standards to ensure that they are being honored, that their culture is preserved, and that their wages are livable. What is one thing you wish you knew when you first started out? I wish I knew more about running a business! I had a lot of on-the-job training. I'm more of a creative with a heavy humanitarian background so becoming a CEO who had to fundraise and scale a company was all new territory. I've accepted the challenge because I believe in the mission of the company, but I sure have had a lot to learn and still do! What are your goals and plans for the near future? We are expanding in Los Angeles, Newport Beach and a few other locations with our pop-up stores. I’m so excited about that! And our summer line will be launching soon with lots of lovely new designs that represent the beauty and culture of many amazing artisan women.